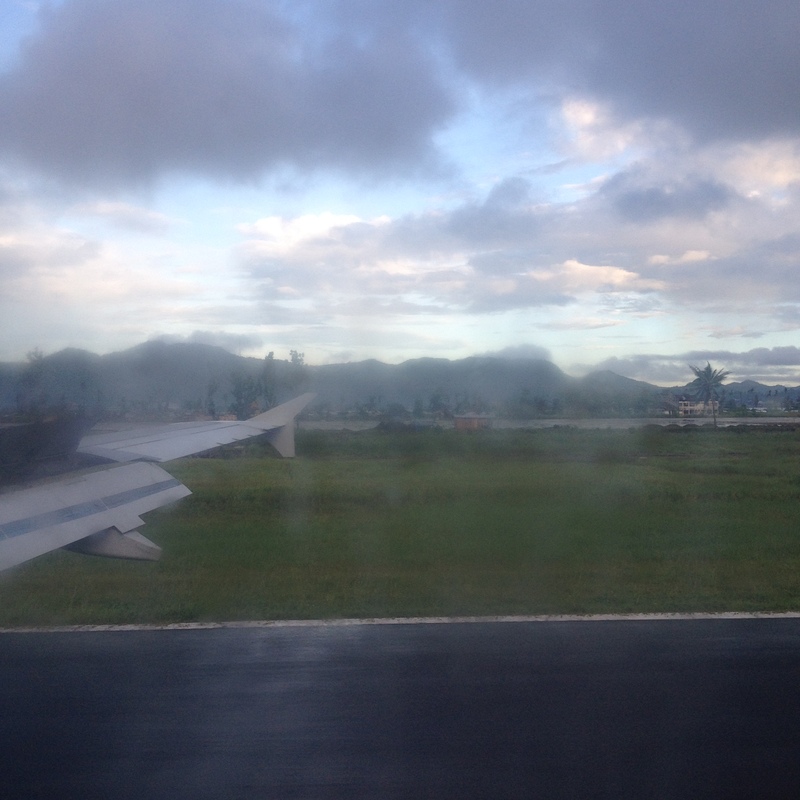 Mom and I had just touched down in Leyte, the Visayan island ravaged by Supertyphoon Haiyan/Yolanda in November 2013. Six months after, what a powerful experience to walk in these communities now changed by a violent force of nature, and hear their stories firsthand. Unlike the islands we had visited prior, this island suffered a huge loss of life, not only infrastructure. Everyone had lost somebody. 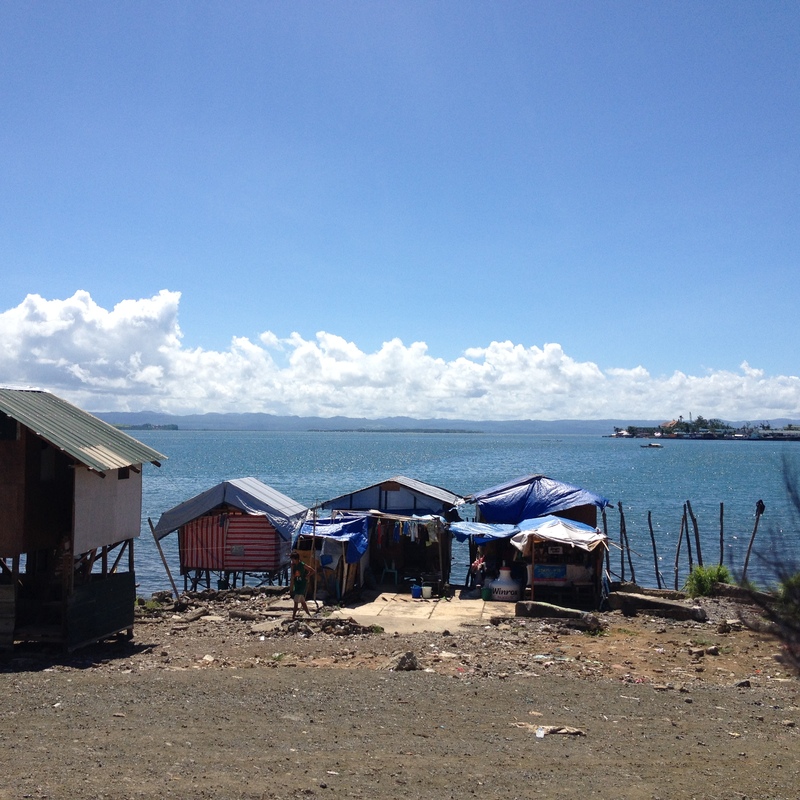 We were in Leyte to bring our third Buhay Makulay Children’s Fair this year to a small town called Abuyog, south of Tacloban. We had arrived in the rain, and were greeted by a functional, but only barely restored airport. There was now a proper ceiling above the stock-still conveyor belt for luggage. (I’m told the ceiling was a recent improvement.) But much of the place was still under construction, and everything around seemed makeshift. Just temporary solutions, stopgaps surrounded by reminders of the brutality experienced. As we waited for the cargo, we were greeted by the pool of porters in uniform, standing off to the side. 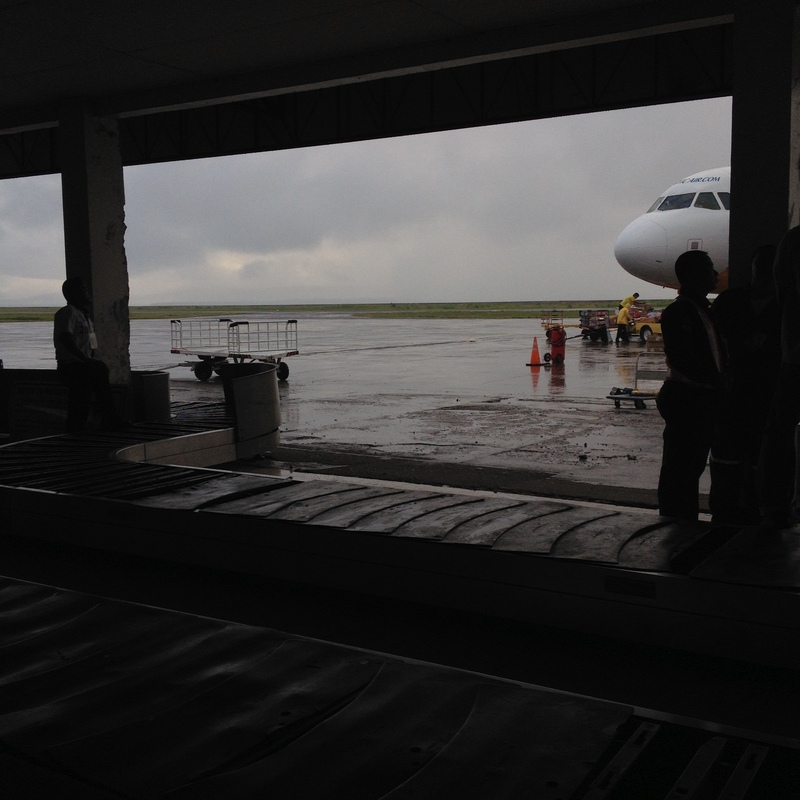 They were backdropped by the more skeletal side of the airport, tarps flying in the wind. Not all with bright smiles, but with a few loud claps, booming voices in unison, they welcomed us to their hometown. It was not even six in the morning. I clapped my appreciation along with some of the other passengers, acknowledging their greeting with a smile. I searched the eyes of the porters and wondered if they were happy, wondered what they had lost in the typhoon (more importantly, who), wondered if they walked around their city with an awareness of the shadow of the storm, as I, a visitor, would in the days following. I searched their eyes, saw lots of story and a taste of the resilience I would come to know in the days following. But I tried not to make too much out of it all, for I was barely a few minutes in their presence. Perhaps it was the routine of this clap-and-chant welcome, or the fatigue of manual labor, but in their eyes too, was something solemn, something sad. Something altered. Much of the rest of the city was like the airport – functional, but only barely restored and in the making. There were varying degrees of damage, as well as varying developments in the efforts to rebuild. But all around: rebuilding. I could barely imagine what the landscape must have looked like immediately following the typhoon. Yet, it seemed that everywhere people had decided it would be better to move forward, to not be fazed by the tragedy. The city clapped its hands, and with booming voices in unison, decided to live. We got back two days ago, and part of me continues to float, still trying to wrap my head around all I had seen and heard, and all I now envision for the city getting back on its feet. Hope arise.